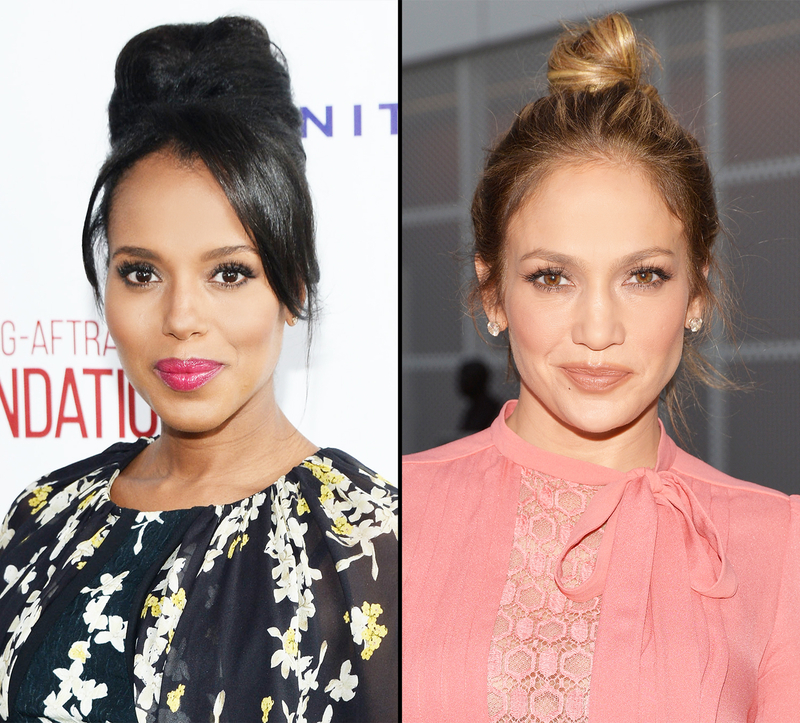 Kerry Washington, Jennifer Lopez Attend Jennifer Klein’s Day of Indulgence — Get the Inside Scoop! It’s the best day of the year! At least, that’s what Lea Michele said as she walked into producer Jennifer Klein’s annual Day of Indulgence in L.A. A source revealed the inside happenings of the luxurious star-studded event to Us Weekly. The Scream Queens actress, who has been to the event in past years, helped show first-time attendee Mandy Moore around the party. Soon after, the This Is Us lead made her way to the Atelier Cologne table, where the brand was monogramming perfumes for guests, as Michele picked up a mini bottle of Don Julio and lemonade. Meanwhile, Jennifer Lopez and America Ferrera hung out at the bareMinerals table and did foundation shade-matching together. Also enjoying the beauty options, Kerry Washington hopped behind the Giorgio Armani Lip Maestro table to help makeup artist Tim Quinn pick out shades for Shonda Rhimes and Scandal stars Darby Stanchfield, Katie Lowes and Bellamy Young. Later, the Scandal ladies shopped at Theory and Calypso, singing and dancing to the music playing from the UE Boom 2 speakers. The biggest clothing hit of the day, however, was the NYDJ table, which was cleaned out of every pair of jeans by the end of the event! Across the party, Gugu Mbatha-Raw had fun modeling the many styles of Toms sunglasses before picking her pair. Also trying on shades was Lucy Hale, who bought a pair from Henri Bendel. In other accessory news, Lizzy Caplan and Alison Brie helped each other pick out pieces from Lizzie Scheck Jewelry and toasted with Freixenet Cava, while Haley Bennett browsed the Alexis Bittar table. Elizabeth Olsen and Anna Faris chatted as they received relaxing massages from Caudalie, and Rachel Roy pampered her hands with a manicure by Deborah Lippmann. Shay Mitchell opted to focus on her eyes with a treatment using a Foreo Iris and Patchology eye patches. Guests munched on Garrett Popcorn, Sidecar Doughnuts, Cookie Chips, Jeni’s Ice Cream and Megpies, and sipped on drinks from Icelandic Glacial Water, Suja Juice, Detox Water, Health-Ade Kombucha and Coffee Bean and Tea Leaf. Each guest also took home personalized gift bags by LeSportsac and an Eagle Creek suitcase filled with a Clarisonic Pedi Sonic Foot Transformation Kit, a new hair removal device called DERMAFLASH, Sam Edelman shoes, prAna leggings, SoulCycle swag, goodies from Ole Henriksen, BITE beauty, StriVectin, Lollia and hip Canadian brand Deciem, plus gift certificates from iPic Theaters, Madewell, Kate Somerville, Rebecca Minkoff, Intermix and more.